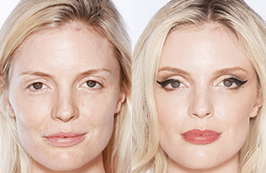 FLAWLESS CAT EYES LIKE YOU'VE NEVER SEEN! in Less Than 60 Seconds! Make a Statement in Only 3 Steps! 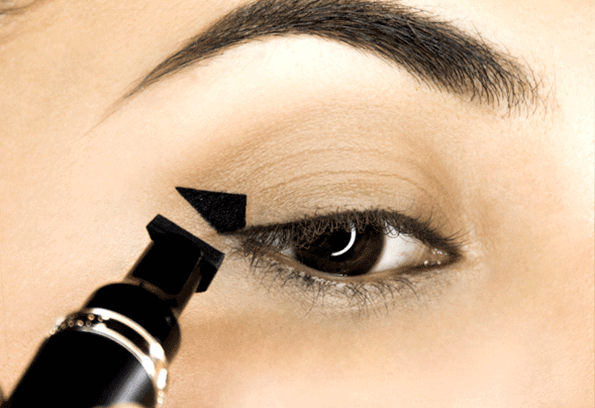 Stamp the wing on the desired position at the corner of your eye. 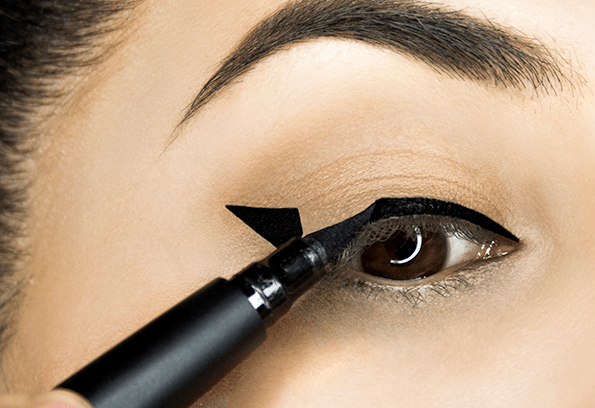 Draw the lash line with the fine tip and connect it to the wing. 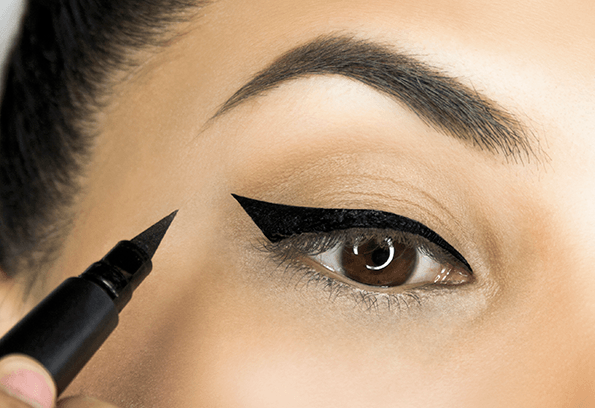 Shape and extend your wing if desired. The Results Are In! 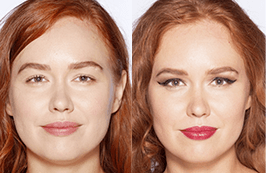 The Cat Eye Stamp is a Game-Changer! this is by far my favorite liner ever. 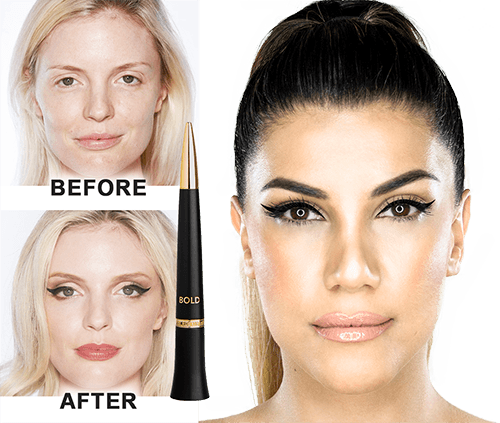 the formula is so black and rich and long lasting. the stamp is super easy to use on yourself, so if you've been struggling with liner this is def for you!!! LOOOOVE the sleek stamp for everyday!!! 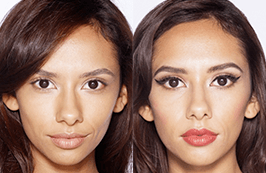 being a makeup artist this tool is very easy to use on clients! the fastest liner I have ever done!!! Why didn't anyone think of this sooner!?! 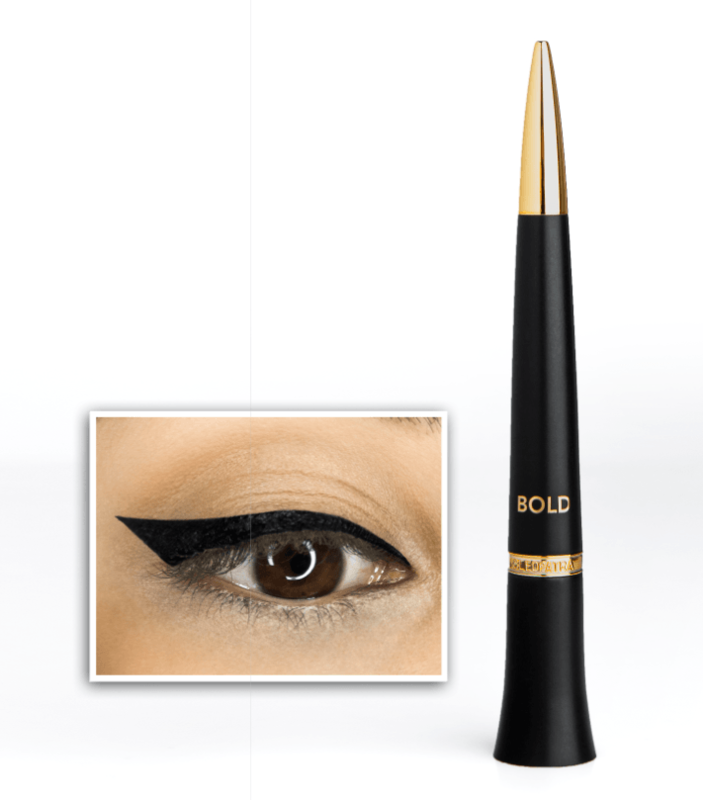 I absolutely love everything about this eyeliner... from concept to application it is what dreams are made of! I can't get over how easy it is to apply and practically error proof. It use to take me about 20 kin to get my eyeliner to match each other but this God sent product has cut that time by 15 min! I'd give it ten stars if I could! Can't wait to see what else Lyda Makeup comes up with. You have a fan in me and thank you for your ingenuity and practicality! This product is a dream! 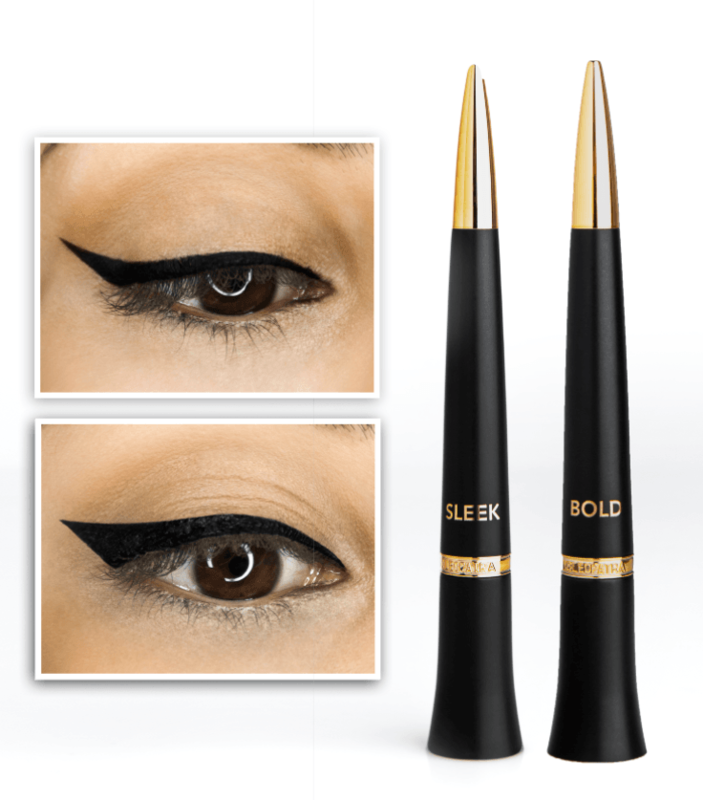 The stamp is a great tool to guide your cat eye shape. You might need two layers to get a fully opaque stamp, but it's so easy to use that I don't even mind. The pen on the other end is SO fine and perfect for finishing off the point of the wing. It dries down quickly so you don't need to worry about the product smearing or bleeding around anywhere. This is a great black liner to add to my makeup bag!